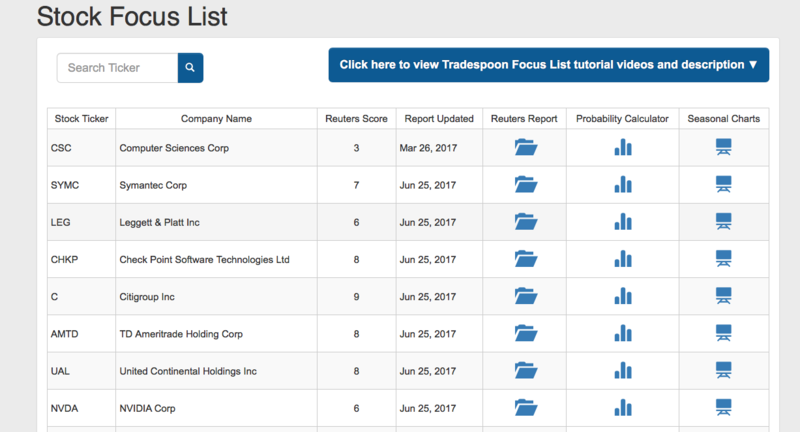 The Tradespoon Stock Focus List is a listing of highly liquid stocks, sorted by most recently updated research, along with links to Seasonal Charts and Probability Calculator. Use Seasonal Charts to review graphs depicting the historical performance of each stock to help forecast future performance. 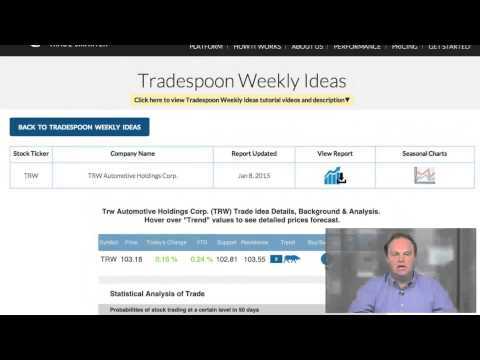 See how a stock has performed historically and will likely fare under different political, economic, fundamental and technical conditions. The Probability Calculator will help determine the likelihood of an underlying stock trading above, below, or between certain price targets on a specified date.